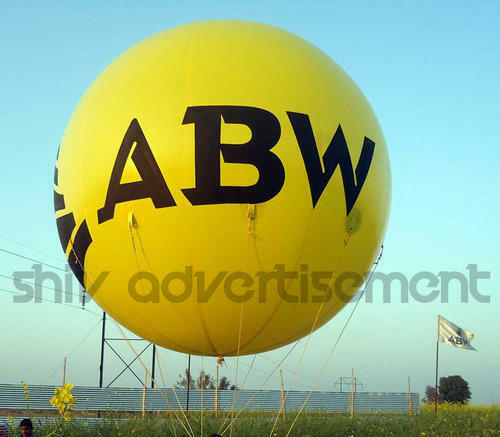 Shiv Advertisement is one of the principal firms immersed in Manufacturer, Supplier, Trader, Service Provider comprising Big Sky Balloon, Printed Rubber Balloon, Hanging Dangler Balloon, Air Dancer Balloon, Characters Walking Inflatable Services etc. Understanding the changing desires of clients, we are engrossed in providing the best of services to clients. Rendered under the guidance of deft executives, some of these services are delivered by us include Printed Rubber Balloon, Hanging Dangler Balloon, Air Dancer Balloon, Characters Walking Inflatable Services, Ground Inflatable Advertising Services, Walking Inflatable Advertising Services, Inflatable Arch Services, Big Sky Balloon Advertising Service, Flying Sky Balloon Installation Services, Inflatable Bouncy Balloon Service.